Wolf howls to coyote choruses, coughing deer to croaking ravens, chiming spring peepers to melodic whippoorwills—animal sounds add immeasurably to our outdoor-adventuring soundtrack. And sometimes what they add is all-out freaky: demonic, ghostly, or at the very least unsettling vocalizations that sometimes don’t seem quite of this world. Here, with the darker afternoons and longer nights and the extra dose of spookiness that come with them, lend your ears to some of the creepiest critter sounds in North America. It’s probably—no, it’s definitely too many years after that viral Ylvis novelty number to make a “what does the fox say, anyway?” reference here, though (oops) we just did it. Well, as it happens sometimes the fox says something that sounds like a straight-up horror show. Red foxes make all sorts of different sounds, including fairly respectable barks, yips, and twitters. But during the winter breeding season, fox talk takes a turn toward the blood-curdling, all basically in the name of love. Both male (or “dog”) and female (“vixen”) foxes may let out harsh, loud shrieks this time of year, though it’s the lady foxes trying to lure in mates most associated with the murderous noise: It’s often called “the vixen’s scream”. Many who hear this unearthly call—especially in the dead of night, a common time for the vixen’s scream since this is often when foxes are active and because sound tends to travel farther then—would never guess a pretty, prim little fox is making it. Surely it’s got to be the ghost of some murder victim, or a witch, or a riled-up ‘Squatch (check out the “Umatilla Screamer”). But it’s also a freaky-enough noise that knowing what’s behind it makes it only sort of less freaky. Owls get a lousy rap for their supposed supernatural alliances and portentousness, but these mainly nocturnal birds of prey are vital predators doing a whole lot of ecological good out there. No question, however, that their afterhours call lands on the spooky side of the spectrum. 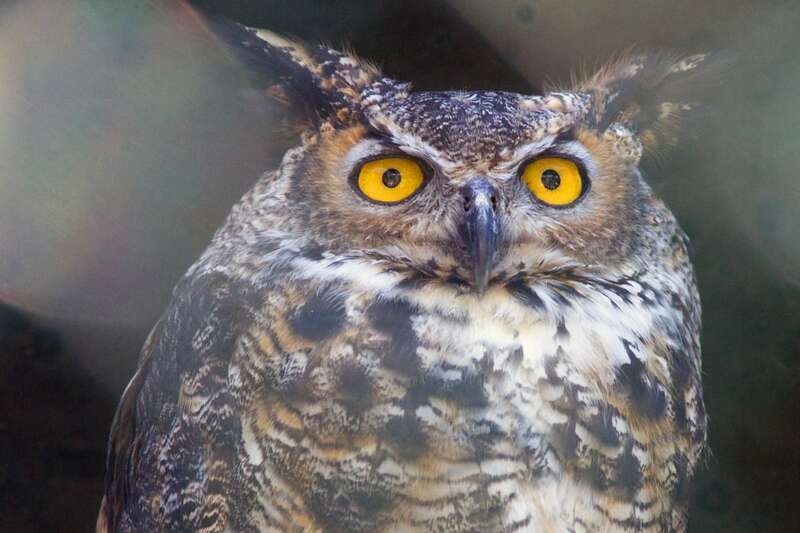 There’s the classic, regally deep hoot of the mighty great horned owl—“Who’s awake? Who, who?”—often heard in conversation during the winter courtship period. This imposing hoot (which probably stops the heart of any bedded-down cottontails or crows within earshot) fits the spirit of the fierce “winged tiger”—a badass bird with an astonishingly varied menu that includes a lot of other raptors—in the same way a somber howl suits the gray wolf and a bone-rattling roar suits the lion. But the horned owl’s iconic voice isn’t the freakiest of owl chatter. The barn owl, which looks more like an all-out ghost than just about any bird, trades the stereotypical hoot for a raspy, angry-sounding scream, primarily unleashed by males; it’ll stop you in your tracks, pretty much guaranteed. The barred owl, meanwhile, has a loopy, sort of psychotic song commonly transliterated as, “Who cooks for you? Who cooks for you allllll?”—that last note often the wackiest one. And then there’s the demented demon-whinny of the eastern screech-owl, contrasting with its softer, quieter, cuter trills. 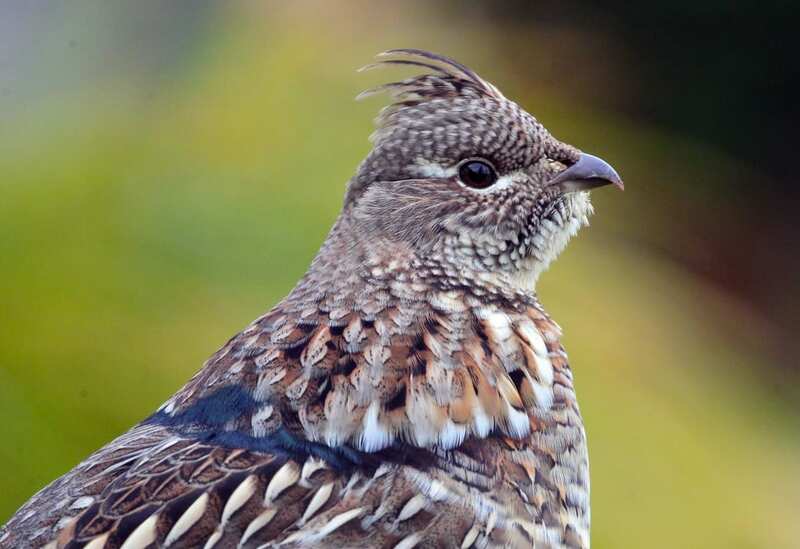 The accelerating drumming of a male ruffed grouse isn’t so much a scary sound as just naggingly unnerving if you don’t know its source. It’s a deep, muted, percussive thumping often more “felt” than heard, and generally something experienced in thick woods—just the kind of setting to inspire some paranoia. The drumming stems from the pumping of the grouse’s wings as he stakes out atop a mound, log, or some other forest vantage to proclaim his territory and impress the ladies. The message may carry a quarter-mile or more. Cats in general make goofy, deranged noises when facing off with one another or announcing their lust—a caterwauling hilariously out-of-step with their physical grace and dignified bearing. 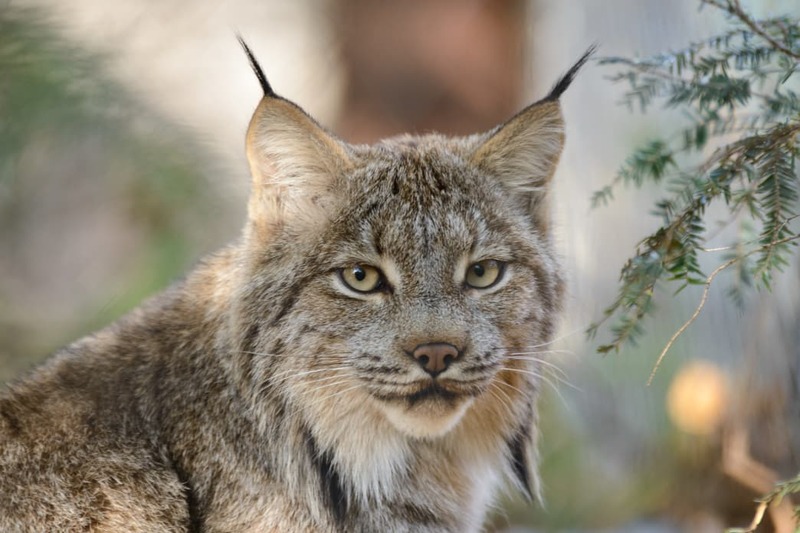 If you have the rare experience of overhearing a showdown between two Canada lynx while you’re tromping around the Northwoods, you may well conclude you’re listening in on a couple of ornery (and possibly drunk) devils having an ear-splitting hissy-fit. Given how elusive lynx are, count yourself lucky to hear this territorial yowling contest (which may take place when either male or female lynxes cross paths)—after, of course, your heart rate has returned to normal. The lynx’s heftier and longer-tailed cousin, the puma (or mountain lion), is downright infamous for its scream, an uncommon sound to actually hear but absolutely unforgettable if you do. 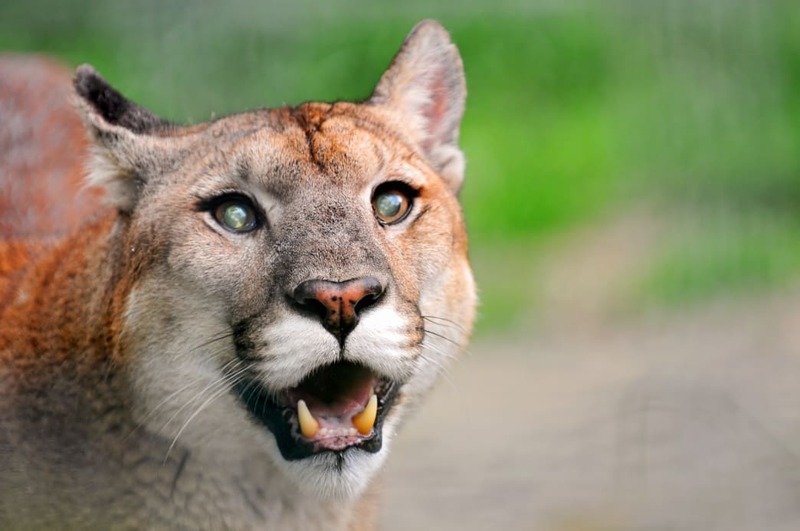 The ungodly wail of a female puma in heat is often likened to that of a terrified woman or someone being murdered, to give you an indication of its hair-raising qualities. No mystery, then, as to where one of this cat’s million or so monikers, “swamp screamer,” came from. Springtime in the backwaters of the Southeast sounds utterly prehistoric when American alligators are in the mood for romance. Both male and female gators voice their mating-season randiness with low-pitch bellows, but the males—or bulls—take to the next level with genuine reptilian roaring. It’s a chilling sound that cranks up the already-Gothic atmosphere of a subtropical swamp, and which can certainly convince you to curtail that paddling excursion (although gators aren’t as dangerous as their reputation suggests). If you actually see a bull gator roaring, you’re in for a treat: The beast raises his bruiser head and sawtoothed tail from the water while announcing his status, and the vibration causes the surface to skip and dance around him. In the same swamps and marshes you’re being garishly serenaded by horny alligators—and also along wetlands, lakeshores, and riverways all across the country, including those in cities and suburbs—you may hear another convincing rendition of dinosaur vocalizations. Actually, it is a dinosaur vocalization (bird evolution and all that): the comically harsh squawk of a great blue heron. This huge, stylish stalker of shallows—one of the biggest herons in the world, and among North America’s tallest birds—can let loose a truly primordial expletive (at least that’s what it seems to be) when flushed from its hunting ground or otherwise disturbed. 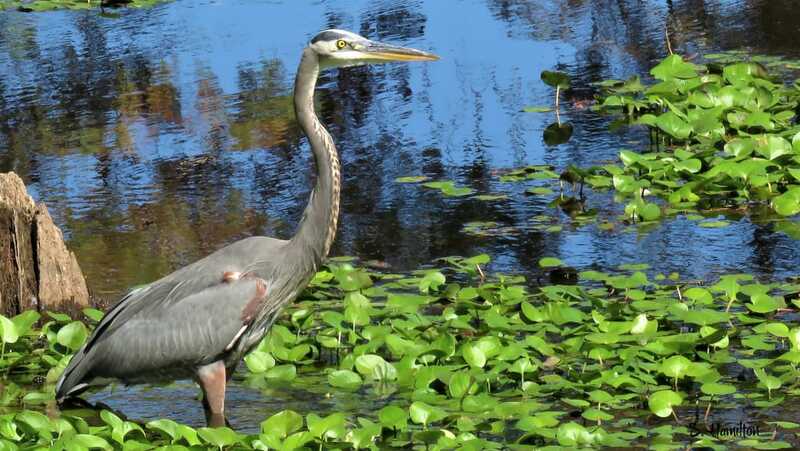 The great blue’s hoarse, croaky racket might momentarily freak you out; along a downtown greenway, it also adds a nice element of sheer wildness to the urban soundscape. Written by Ethan Shaw for RootsRated Media in partnership with RootsRated. I think audio of each of the calls would have been more dynamic.